It is ironic that school children are taught that the structures (and strictures) of local government emerge from the civic offices of the familiar council buildings, when in fact more or less every political and policy decision (that effects the lives of hundreds and thousands of people), is covertly made within the walls of the local masonic lodge. This international pseudo-religious order has a middle and upper class membership chosen on the grounds of its ‘usefulness’ in the furtherance of masonic influence. Such is the insidious nature of this shady organisation that even the spell-checker associated with this computer demanded that the word be spelt with a capital ‘M’. The influence of the masonic Judeo-Christian movement, however, is limited to the ability and placement within society of its individual membership, which is comprised of doctors, police officers, prison officers, lawyers, judges, magistrates. Members of parliament, military officers, members of the royal family, local council employees, prime ministers, Christian priests, teachers, journalists, reporters, corporate managers, social workers, DWP managers, hospital managers, and many others, etc. In reality, anyone who adheres to any type of conservative anti-working class thought can apply for membership. 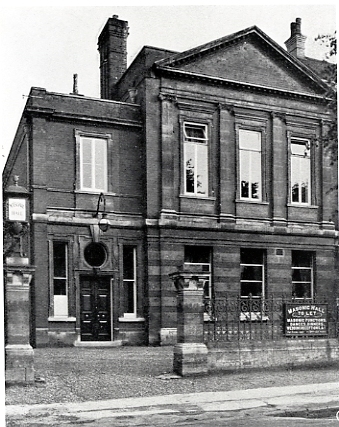 The local masonic lodge issues its edicts through its regular meetings of its membership, and these edicts are then put into practice through the local council offices, magistrates court, hospital, DWP department, education department, police, and any other required office or position of influence. The covert influence of the masonic lodge is an open secret – it is a secret kept in plain view and is so much part and parcel of life in the West that its presence appears to be virtually invisible during the activities of everyday life. After-all, the masonic lodge is democratically unaccountable, and the minutes of its meetings are not publically available for scrutiny, for If they were, the people would understand the extent to which their lives are influenced by corrupt figures, secret hand-shacks, and bizarre rituals. The masonic lodge, although a very dangerous and destructive influence within UK society is in fact the continuation of the British public school system from which the majority of its membership is drawn. It is a hedonistic movement based loosely upon Western religion with a mixture of pagan, Jewish, and Christian teaching all geared toward the ruthless service of capitalist accumulation. Its existence serves as a co-ordinating force for the bourgeoisie, an existence that is ignored by the government, police, and judiciary, simply because many of its members are prominent and influential members of these key establishments. World events, such as world war, can appear to weaken the power of the masonic movement, as the working class that provide the manpower to serve in the various ‘national’ armies, are tossed scraps in the form of political and social ‘concessions’ from the wealth laden tables of the bourgeois; but this apparent weakness is short-lived, and eventually the lodge regains all its previous power and a conservative counter-movement begins. In 1945, the British working class men returned from conscripted military service to vote-in a Socialist Labour Party that dismantled the British Empire and implemented the Welfare State, free universal education, housing for all, and the National Health Service. Due to the losses suffered during the Second World War, and the general mobilisation of the British nation, the serving working class men were politicised to a remarkable degree. These men were taken out of their local existences and ‘internationalised’ through military service. During that time, political information was exchanged from man to man, and eventually acted upon at the UK ballot box. This working class hegemony – or class consciousness – checked the power of the masonic lodge in 1945, but it has been fighting a rear-guard action ever since. Since the social trauma of WWII, the British military establishment, (many members of which are so-called ‘free masons’), has been careful not to facilitate the level of class consciousness it offered during WWI and WWII. The working class men (and increasingly women) have been continuously used as cannon-fodder in middle class wars since WWII, but the manner in which they have been recruited has changed dramatically. Whilst exploiting their minds and bodies, the modern recruit is brain-washed with middle class rhetoric that has little or no real meaning for their life on the housing estate outside the military establishment. In that life, the ordinary people do not possess the wealth or social connections to access the legal framework that moderates UK society, and so do not have access to the ‘rights’ under the law, all British citizens are said to possess. Any attempt by the working class to use the authorities to secure ‘justice’ is viciously rejected. This means that the privileged middle classes continue to access the wealth and social institutions such wealth produces, whilst restricting the lives of the working class to definite psychological and physical ghettoes. The working class are kept like poorly fed cattle by the middle class, and issued with the minimum resources needed to physically exist. Working for small amounts of unemployment benefit, and food parcels, constitute this meagre support. Those who run society from the masonic lodge – and there are many – are so paranoid about losing the power they possess, that even those with disabilities are now considered ‘scroungers’! Marx ruthlessly criticised everything, and this is exactly how the masonic lodge and its ‘free masonry’ can be exposed and demolished. Understanding that which hides from public view, is exactly the manner through which its power can be resisted and destroyed. As a bourgeois institution, the masonic lodge routinely exercises hypocrisy and moral ineptitude, whilst trying to act within the bounds of the legal system it simultaneously creates and corrupts. At the moment, the local masonic lodge is part of an international ‘free masonry’ movement that thinks that it is immune from any prosecution, or exposing through evidence.